The Glamorous Life of a Housewife: Oklahoma. Several of y'all have inquired about our family and friends here in Oklahoma, and I am blessed to say we are okay. Thank you so much for thinking of us. I had several friends within one or two miles from the disaster who are all safe as well. Praise God. Our hearts are heavy for those affected by the devastating F5 tornado that ripped through Moore and left so many lost, homeless, and mourning. Our only hope is that God is close to the brokenhearted and saving those who are crushed in spirit. 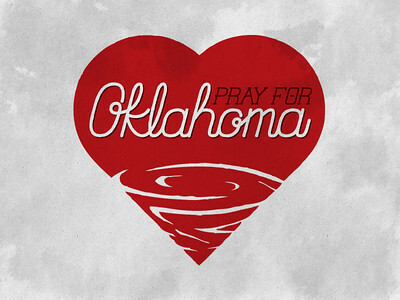 Please join us and pray for Oklahoma. And count your blessings today. Isn't it horrible what happened to our horrible state? Absolutely breaks my heart. So many prayers from me and mine are being sent up. I'm glad you're all ok. I kept checking here to see if you had posted. My heart just breaks hearing about the devastation.